Dramatically improve the appearance of an aging face and rejuvenate your good looks with non-surgical Facial Contouring. Commonly referred to as a liquid face lift, Facial Contouring is quickly gaining popularity with Edgewater and Hoboken residents. Radiesse®, which represents the next generation in injectable fillers, is used by Edgewater and Hoboken Cosmetic & Laser Centers to restore and reshape obvious signs of facial aging. Dr. T.G. Khan, medical director of the Cosmetic & Laser Centers, is a board certified physician with more than 12 years experience in cosmetic injections. What dermal filler is used for Facial Contouring? Dr. T.G. Khan uses Radiesse for Facial Contouring. How is Radiesse different from other dermal fillers? Radiesse is injected deeper into the skin, enhancing its Facial Contouring potential. It’s durable, long lasting and versatile. More importantly, it stimulates collagen growth. For the first three months following the procedure, Radiesse acts as a filler substance by plumping up the skin. Then Radiesse actually spurs new tissue development, allowing for extended results for up to 12-24 months. Radiesse does more than just smooth the wrinkles and fine lines. Its unique contouring ability lets Dr. T.G. Khan, an expert in cosmetic injections and aesthetic laser treatments, address large areas of the face in one procedure. These unmatched advantages make Radiesse the ideal choice for Facial Contouring. How does Radiesse work? Radiesse is composed of tiny patented calcium hydroxylapatite (CaHA) microspheres that are suspended in a water-based gel. Once the gel is absorbed by the body, the microspheres stimulate the production of new collagen, creating the desired long-term effect. Since calcium hydroxylapatite is found in the bone, there is no risk of allergic reaction. When compared to other dermal fillers used for Facial Contouring, you’ll find that there really is no comparison to the safety, effectiveness, versatility, and long-lasting results that Radiesse has to offer. How immediate are the results? Facial Contouring results are immediate with Radiesse treatments and continue to improve over time. Best of all there is no downtime involved. This Facial Contouring treatment is so simple and convenient it can be completed during your lunch hour. You’ll save time and money when you choose Radiesse for Facial Contouring. Why should I go to the Edgewater MedSpa for my Facial Contouring needs? Dr. T.G. Khan is a specialist in non-surgical cosmetic procedures. 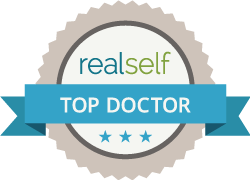 His goal is to always provide his patients with the least invasive and least painful alternative that will restore their youthful appearance. Call Edgewater and Hoboken Cosmetic & Laser Centers today at 201.313.8899 to set up an initial consultation. You will be happy you called.